A little Thanksgiving inspiration for you. The photos of the buffet and the centerpiece with the table numbers carved in the pumpkin are from a Fall Harvest party a few years ago and the others are of my Thanksgiving table. 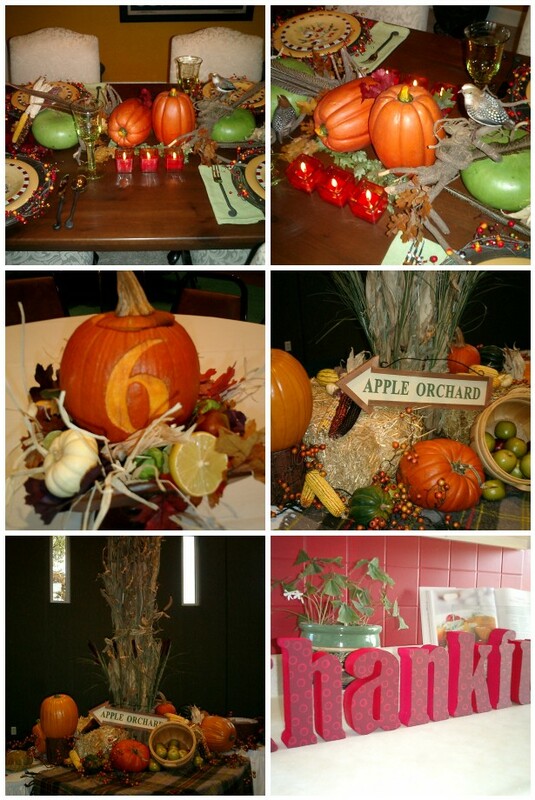 The bottom right photo is a centerpiece that I made for a client for her Thanksgiving buffet. I have so much to be thankful for this year and plan on sharing it with those who mean the most to me. Happy Thanksgiving Everyone!! This entry was posted in Fall, Harvest, Thanksgiving on November 23, 2009 by Setting the Mood.